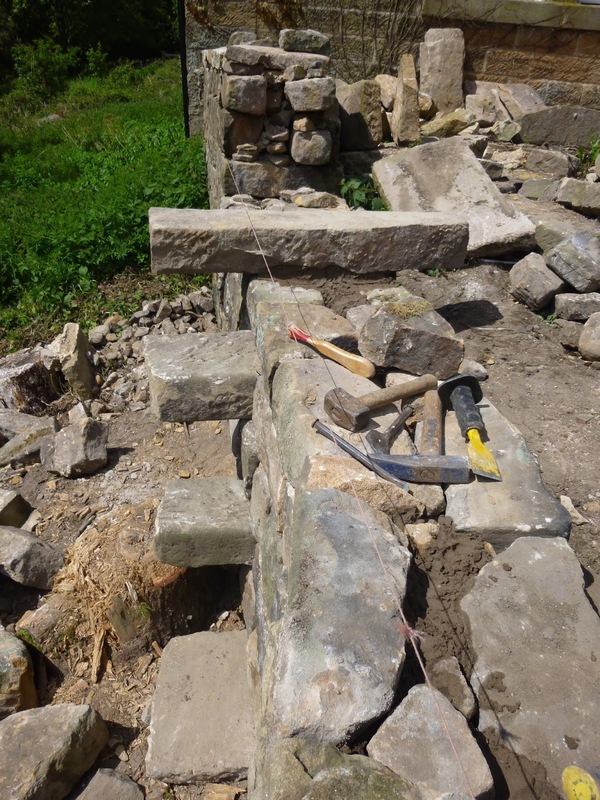 Just finished a lovely job rebuilding a wall and adding steps so the owner could access the land below the wall. HUGE stone needed to make the steps! very heavy...never be in doubt that we women can move heavy stone when we need to! Some great stone available for steps...it has to be long enough to form a step either side of the wall. The finished wall...still needing copes but with steps in place!